Help us get to India! It is just a matter of weeks before we embark upon our groundbreaking India tour. The choir have already raised a substantial amount to make this tour possible, and we are now on the final push for any support to make this trip of a lifetime affordable for every choir member. For full details of the tour and how you can support us, please visit our crowdfunding page: https://somerville.hubbub.net/p/indiachoirtour2018. This will be the first visit to India by a choir from Oxford University and is an incredible opportunity for the members of the choir to visit such a culturally rich part of the world. 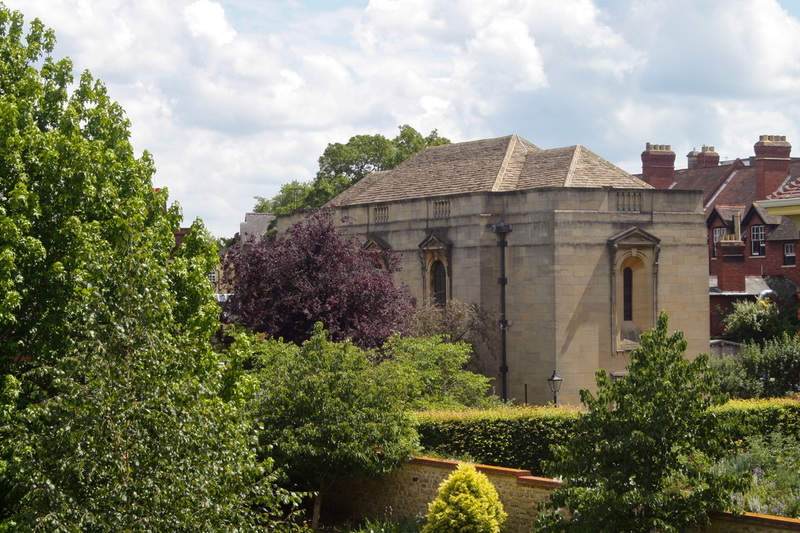 The College has exceptionally strong and meaningful links to India, with distinguished alumnae that include Indira Gandhi, India's first woman Prime Minister and Cornelia Sorabji, the first Indian woman at Oxford in 1889, and the first Indian woman lawyer to practice in both the UK and India. We are also the home of the Oxford India Centre for Sustainable Development which advances India’s sustainable development by bringing different academic disciplines and sectors together. The Centre develops future leaders by offering scholarships to exceptional Indian students to study at Oxford. As a result, we view this as a wonderful chance to explore and develop our existing links with this great country. We will be visiting India in December 2018, to perform concerts and run workshops in Mumbai and Goa. The choir will run several workshops during our visit, and we are looking forward to taking part in activities with the Mumbai-based charity Songbound. We will also be running educational workshops with students of The Karta Initiative, a social mobility mission which aims to widen access to world-class higher education and opportunity for brilliant low income students from developing and emerging countries. This will involve members of the choir talking to the students about their own subjects, different pathways and university life in general. In addition to these workshops, we are thrilled to have an invitation to perform in the National Centre for Performing Arts (Mumbai), and we will give several other performances during our visit including at the Mehboob Film Studios as part of the Times Literary Festival, and the Church of St Francis of Assisi in Goa. We would be extremely grateful for any donation, big or small, which will help us get to India. Our aim in this campaign is to make the tour more affordable to members of the choir regardless of background or financial circumstances. We already have raised a substantial amount towards the tour, including from choir contributions, support from Somerville College, generous external donations and our modest fundraising activities. By raising this amount of £10,000, we are able to bridge the final funding gap to make this tour financially possible for all members. However, money isn’t everything. If you feel you would like to help in other ways, you could help us promote our crowdfunding page to friends, family, and online, so that we reach as many people as possible. Maybe you could share our posts on Facebook, Twitter and Instagram, or even just tell someone about us. Every little helps! Somerville College Choir will be hosting a 24-Hour Music Marathon in the College Chapel this Friday and Saturday, in order to raise funds for its tour to India, taking place in December. Featuring performances by members of Somerville College, the marathon will incorporate a wide variety of musical styles, ranging from jazz standards to organ symphonies, from an open-mic session and lute songs. The final running order will be confirmed here and on Facebook on Thursday evening. Entry will be by donation, with all the money raised going towards the tour more details of which can be found here. If you can't attend in person, do check out the live stream. ​Click here to download a PDF file of the full programme detailing the specific performers and repertoire in each recital. Congratulations to those going to Oxford in October! ​If you've not already lined up a choir to join, then do consider us - we're performing the Mozart Requiem in the Sheldonian this term, and then touring to India in December. You don't have to be studying at Somerville to join us - we've also singers from Brookes as well as non-students regularly singing with us, so do get in touch! Don't miss the choir's last public performance this term, in concert alongside the Somerville College Orchestra. The concert features a programme ranging from Eric Whitacre's gorgeous Five Hebrew Love Songs to Johann Sebastian Bach's timeless Double Violin Concerto. Entry is free and there will be a drinks reception after the concert. Click here to see the Facebook event page. We are delighted to announce that Will Dawes is joining Somerville as our new Director of Chapel Music, in succession to Benjamin Goodson, who recently secured the impressive appointment as the new assistant of the chief conductor of the Rundfunkchor Berlin. Dawes is currently the Director of Music at the church of St Mary Magdalen, Oxford, Conductor of Ensemble 45, Frideswide Voices (Oxford’s first liturgical choir for 7-14 year-old girls), and takes up the position of Director of Chapel Music of Somerville College, Oxford, in January 2017. He is a graduate of the RAM where he studied Choral Conducting and Singing, and has directed several excellent choral societies and chamber choirs across the UK. Alongside his career as a conductor, Will is active as a consort singer and is a member of the internationally acclaimed and multiple-Grammy-nominated vocal ensemble Stile Antico. The group performs all over the globe, so far including concerts at the Royal Albert Hall, Wigmore Hall, Cadogan Hall (BBC Proms), over fifty different venues in the USA, as well as Mexico, Portugal, Estonia and Canada. He is a former Lay Clerk of Christ Church Cathedral, Oxford, and has also appeared as part of the Gabrieli Consort, Cardinall’s Musick, Collegium Vocale Gent, and Polyphony. As a soloist, Will has sung works such as Carmina Burana (Orff), Lieder eines fahrenden Gesellen (Mahler), and The Wound Dresser (Adams) as well as more canonic works by Johann Sebastian Bach and Georg Friedrich Händel. His one and only operatic role to date is that of Mr Gedge in Britten's Albert Herring. For further information, including forthcoming performances, please visit www.willdawes.co.uk. On Saturday 26th November 2016 at 7:15pm the Choir and Orchestra of Somerville College, Oxford, will be performing Haydn's Symphony No. 88 in G major and Vivaldi's Gloria at Somerville Chapel. 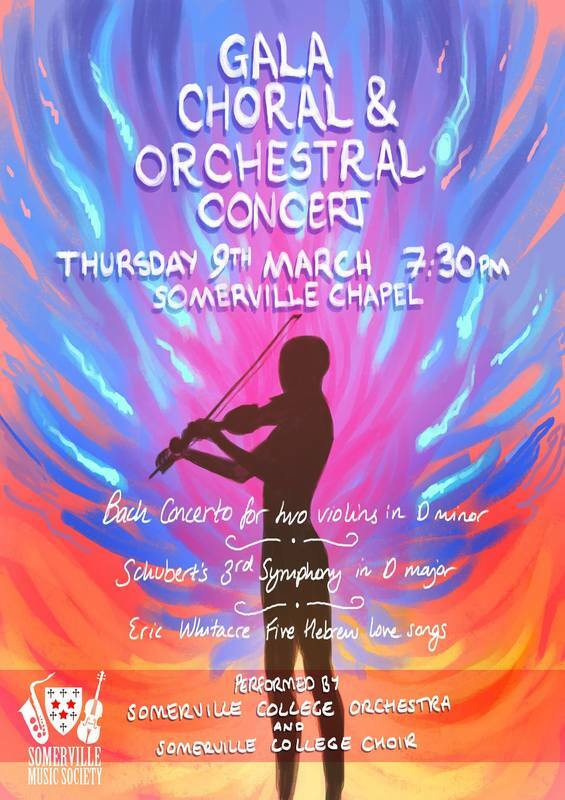 The concert will be conducted by Hilary Davan Wetton, Somerville's Senior Music Associate and Interim Director of Chapel Music. For the final concert of the ﻿Brandenburg Choral Festival of London’s 2016 Autumn Series﻿, Benjamin Goodson's two choirs, the Lea Singers and the Choir of Somerville College, Oxford, will be joining forces for a concert at St. Martin-in-the-Fields, London. Tallis’ epic 40-part motet Spem in alium will be at the heart of this programme, and is always all the more memorable when sung in the atmospheric surroundings of a candlelit St. Martin’s. This performance will be framed by Schubert’s glorious Mass in G, and four choral gems by Bruckner and Brahms. This concert will last approximately one hour without an interval. A combined ticket offer is available for this concert and the earlier performance at St Martin’s. Please contact the box office for details. The closing date for completed applications is 10am on Monday 3rd October 2016. The Choir of Somerville College is busy fundraising for what will be the choir’s most ambitious tour to date. In September we plan to travel to New York City and Washington DC to give concerts, workshops and sing services. The tour comes on the back of a hugely successful first year under the directorship of Benjamin Goodson: we have performed a sold-out performance of Bach’s John Passion, while upcoming plans include a concert of Anglo-American music and a performance of Tallis’s Spem in Alium at one of London’s most prestigious venues, St Martin-in-the-Fields. The choir is going from strength to strength, and we are sure that now is the time to showcase this special choir to new audiences on the other side of the Atlantic! We need to fundraise to get us there. The choir has already been working hard at this, by raising money through concerts and events. This term in particular we have hosted an American themed bake-sale, an open-mic night and as a choir we have busked on the streets of Oxford. In addition, each member of the choir will be contributing towards the cost of the tour. But we now need your help! To get us over the finish line we are using Somerville’s crowdfunding platform to collect donations towards our cause. We would be extremely grateful for any donation, big or small, which will help us get to New York. If we manage to exceed our target, your donations will still be worthwhile, as it will go towards subsiding the individual contributions for members of the choir who would otherwise struggle to pay for it. From all of us, thank you very much in advance for your generosity.